In this article you’ll find an introduction to online sports betting covering all the key factors that will get you safely (and hopefully profitably!) off to the right start. You’ll find links to more advanced topics – and coverage for both US and non-US bettors. There is nothing more enjoyable and exciting than watching a sporting event than when you’ve placed a bet on the outcome. This can giving the feeling of being completely involved when a touchdown or goal is scored, a player nets a 3 pointer or the ball flies into the crowd for a home run. Sports-betting is a huge industry, but with so many sites and so many betting options available, the whole thing can seem a little tricky - or even daunting for the beginner. How to make sure you are choosing the best betting site in terms of your needs (favorite sports), value (lines / odds and benefits) and reputation / safety. How to safely deposit and take best advantage of any current promotions. What bet types to expect, and how to physically place a bet. Once you have the basics nailed, you can move on to the important task of finding value in the markets – and hopefully coming away with a tidy profit for your troubles. With so many different sites vying for your custom, choosing the right one isn’t always an easy task. If you are from the US, this is made more complicated by having to use offshore sportsbooks (though there are some very good ones). If you are not from the US, you can skip the next paragraph! US Online Sportsbooks are Based Offshore: There is a thriving sports betting industry in the US, only the sportsbooks are not based on US soil. Instead these books operate from the Caribbean, Central America or Native American reservations in Canada (in the case of the Kahnawake tribe). There are some long-running and well trusted brands out there including Bovada, BetOnline and InterTops. You can safely bet on any of these sites, as I have explained in this article. 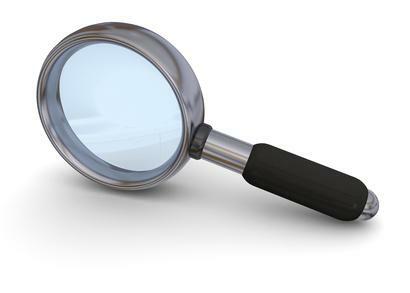 What you need to be careful with are unknown brands, the opaque nature of regulation offshore means it is more important than ever to stick to sportsbooks with a solid reputation for fast payouts. Outside of the US, the problem is different – too much choice. With big brands fighting for your custom, the trick is to find a reputable bookie that has just the right mix of betting options and promotions to suit you. First you need to be sure that your site has solid reputation. For me this is 5+ years of service (with no major scandals) and operating license from a known jurisdiction plus a history of prompt payments. I would never bet at a sportsbook which failed any of these criteria. 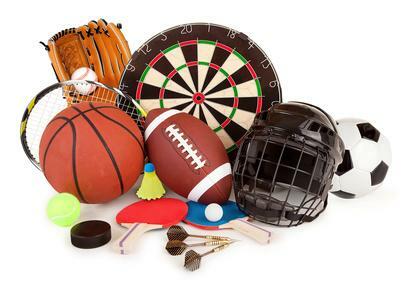 Second, you need to narrow down the types of sports which you want to bet on (can still be a fairly big list) and make sure there are plenty of options available. For example some books have a big racebook section for horse racing fans, while others specialize more in football (including props / specials). It does take a little time to get to know the different sportsbooks, if you are brand new to this then I can recommend the books below as both reputable and having a wide range of bets for fans of different sports. How to Bet Online In 2019 – Let’s Talk Money! There are two key areas in this section, how to see through the ‘hype’ and get the best from bonuses and promotions – and then how to get your money safely deposited (and withdrawn) from the sportsbooks. With the industry being so competitive, you’ll almost certainly be welcomed with a large deposit bonus when you sign up. To be able to compare them and find the best value, you should get familiar with how they work. Each bonus will have a rollover requirement (often called wagering or play-through). This is the number of times you’ll need to wager both the deposit amount and the bonus before the bonus funds are freed up for withdrawal. For example, if you make a $100 deposit with a (50%) $50 bonus at a sportsbook with a 5x rollover requirement, this means that you’ll have to wager $750 ($150 x 5) before the bonus is ‘cleared’. It also pays for you to read the terms and conditions of any bonus, just so you are completely sure how it works. Of course, bonuses matched to your initial deposit are only one of the attractions offered by online sportsbooks. You will find free bets (or no-lose bets), loyalty point collection schemes and extras for mobile or in-play betting commonly offered. Welcome bonus offers will be completed very quickly, what really counts is the promotions and rewards for loyal players – and the quality of the odds (lines) on offer. Choose a sportsbook which looks after players well, rather than the one with the biggest upfront bonus. This way you’ll be rewarded over the longer term. Having chosen a site, you’ll have to register before making your first deposit. This will simply be a case of filling out an online form with details such as your name, address, phone number and e-mail address and you may well have to verify the e-mail address too (you’ll usually need to send Id when you withdraw for the first time, so make sure this information is accurate). You’ll now be ready to fund your account. US Sportsbooks: The main method is Visa or MasterCard credit cards, which need to be able to spend abroad. You will also find sportsbooks accepting pre-paid Visa Cards, Amex and wires made from money transfer outlets like Western Union or MoneyGram. Some sportsbooks accept BitCoin and other more novel voucher / pre-paid options. Withdrawals from US sportsbooks are usually via a paper check, which US banks will accept. You can find more on US Sportsbook Deposit Options in the linked article. Non-US Sportsbooks: Here the range really opens up, with many of the biggest brands accepting PayPal, Skrill, Neteller, Visa, MasterCard and many local options like Ukcash, EcoPays and Webmoney. You can also use bank wires for larger amounts. Withdrawals are equally flexible, with wires a good default for any option not offered. There are a number of different bet types you can place and here I’ll divide them into 4 distinct broad categories. US and non-US betting uses different terms (and types of bets) which are explained in detail I the linked articles. Futures Bets – These are bets that are placed on the long term eventual winner of a sporting contest. A good example would be placing a wager on the Super Bowl winner before the start of the NFL season. Prop Bets – These are bets that you can place within a game, that are not actually dependent on the actual outcome. For example, you could wager that a named basketball player scores a certain amount of points in the game, or whether a named soccer player scores a goal. Game Bets – This is by far by far the most popular category of the three, where you’ll find a wide range of betting options on a daily basis. These will include such bets as the point spread, where you’ll predict whether the favored team will win by more than the spread, the money line, where you are simply predicting the winner of a game and the totals, where you are predicting whether the total amount of points/goals/points is over or under the stated line. 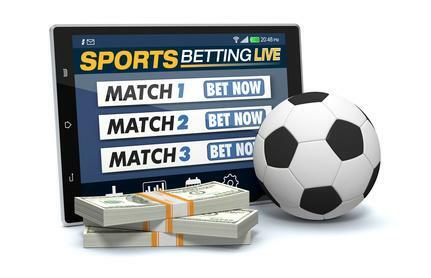 Live/In-Play Betting – These are bets that you’ll place while the game is being played. The odds and lines can move rapidly in these markets, never more so than in the closing stages of a game. If you head to any online sportsbook you’ll find one of the following three odds types, although some sites will actually allow you to choose between the three. Decimal Odds – This is perhaps the most straightforward system of all, where you’ll simply multiply your stake by the odds to see your total return. For example, a $10 wager at odds of 1.70 will see a total return of $17. Fractional Odds – Using fractional odds you’ll see odds such as 7/1 or 13/8 and you’ll wager the second amount to win the first. For example, a $1 bet at 7/1 sees you win $7 (a total return of $8), while an $8 wager at odds of 13/8 sees you win $13 (and a total return of $21). American odds – Using American odds you’ll find a number with a plus or minus prefix. A plus number is the amount you’ll win if wagering $100. For example, odds of +130 means you’ll win $130 for a stake of $100 (a total return of $230). A minus number is the amount you’ll have to wager to win $100. For example, odds of -250 means you’ll need to wager $250 to win $100 (and a total return of $350). The size of the stake is your choice when using any of these odds and you’ll simply be paid out on a pro rata basis. Having an understanding of how the odds work is very important, as you’ll want to shop around and get the best deal you can when placing a bet. Once you have a grasp of the basics, I recommend you look into the math of why finding the best lines is so important. Though the odd half a percent here are there can seem trivial, these differences compound over time and are literally the difference between winning and losing sports bettors. When you head to any sportsbook or bookmaker it’s a sure bet that they’ll have the most popular betting markets on their homepage. These will usually be based around the big televised action, which will usually be based around leagues such as the NFL, the NBA, the NHL and Major League Baseball in the US/Canada, while the focus will be more on the biggest soccer games at the European based sites. Alongside these you’ll also find a wide range of other sports, with betting favorites such as golf and tennis prominent, while UFC/Boxing, Motor Sports and Horse Racing are particularly popular too. You’ll usually find that if a sport is on, you’ll be able to place a wager, certainly if it is televised. However, it’s not just sports betting that you can get involved in. Many sites will also offer entertainment or politics betting, where you might want to predict the winner of an Oscar, Grammy or even the winner of the next Presidential election in the US. Hopefully, the step by step guide on this page has given you an overview of how to bet online. With so many reputable sportsbooks (both offshore from the US and licensed in Europe), there have never been more opportunities to enjoy a bet. As long as you are betting within your means, you’ll find that televised (or even live) sports take on a whole new level of excitement. Remember, stick with the reputable sites with a solid track record of speedy payouts – and do not get ‘seduced’ by the almost too good to be true offers of unknown brands.